The arrival of spring marked the beginning of a new phase in Reidi tee construction work in the port area which entailed some traffic changes. The construction work affects three junctions: intersections at Russalka and the Nautica Centre, and the intersection of Petrooleumi tänav and Tuukri tänav. Petrooleumi tänav was fully opened for traffic as from 21 March. At the same time, the section of Uus-Sadama tänav between Reidi tee and Uus-Sadama 18 was closed for traffic. This means that Uus-Sadama tänav is no longer available for accessing the Passenger Port and you should Petrooleumi or Lootsi tänav instead. Residents of Uus-Sadama tänav can access their properties via Tuukri tänav. Uus-Sadama tänav is open for pedestrian traffic. The section of Lootsi tänav bordering on Ahtri junction will be closed on the centre-bound side as from 25 March. Therefore, you cannot drive from Lootsi tänav to Jõe tänav or turn left onto Ahtri tänav. Lootsi side street can be used as a temporary exit with right and left turns onto Tuukri tänav available. Further, you can exit the port by using Petrooleumi tänav. 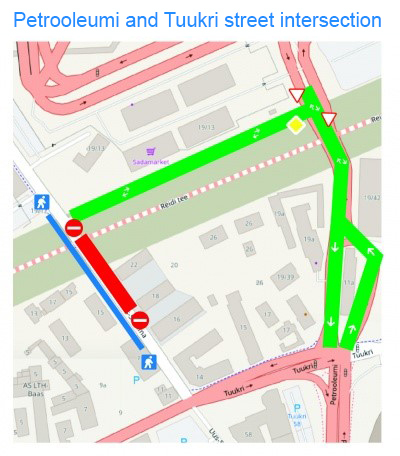 As from 25 March there are traffic changes on the intersection of Pirita tee and Narva maantee with no left turn onto Narva maantee available for drivers heading from Pirita towards the centre. 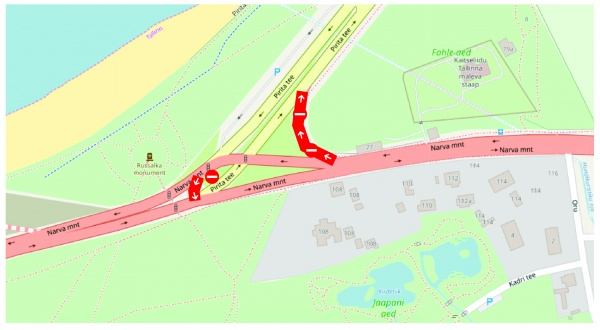 As from 1 April the road section for turning right from Narva maantee towards Pirita will be closed too. 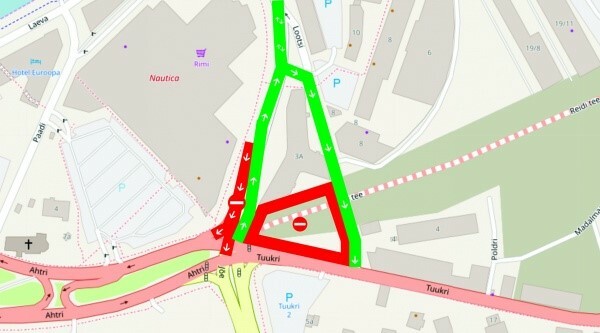 Road users looking to go from Pirita to the Tallinn Song Festival Ground area or the other way round should use Rummu tee and Kose tee as a detour.